Triumph in the midst of adversity – that was a key sentence in the biography of Kate Iroegbu, a woman who faced many difficulties since leaving Nigeria in 2006. Now it’s also the title of her new book and the name of her company, which offers advice and coaching to people facing adversity. Kate comes across as a dynamic and energetic person, but her life as an migrant, first in Ireland then in the UK, “wasn’t a bed of roses”. In 2006, she moved from Nigeria to Ireland with her family and lived there eight years but “never felt welcome,” she says. 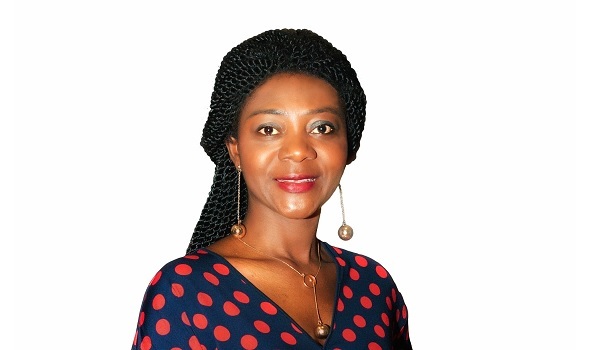 She had a Bachelor degree in Microbiology and an MBA – both from Nigerian universities - and had had several years’ experience as senior cabin crew in Nigeria, but she could not find any job in Ireland, despite her best efforts. In order to improve her employment opportunities, she undertook a second Bachelor degree in Microbiology from University College Dublin, but this did not help and her only work experience in Ireland was as a sales and customer service adviser for a few months. “It was so frustrating!” Kate recalls. “I went to the university, took a lot of courses, but there was no way. Everybody knows Nigerians are hard-working and ambitious people. The Irish government supported immigrants and we wanted to give something back to the system but it was difficult for immigrants to find a job and every attempt I made failed. But initially, life for Kate was not easy in London either. She had temporary jobs while facing serious family problems, particularly in the first year. She has four children, including a daughter with special needs, who required a great deal of care at the time. Later on, her daughter’s condition improved – although she still requires lot of care with her special needs – and Kate started wishing she could help other people facing difficulties. With that goal in mind, she gradually moved towards her new carrier as a coach, international speaker and strategic consultant. While was working as a medical operational assistant in various hospitals, she took courses and training and in 2016 founded her charity Kate O Iroegbu, launching a YouTube channel where she posted videos and offered suggestions and encouragement to people facing adversity. Two years later she launched her business “Triumph in the midst of adversity”. Kate offers her customers two possible programmes, both of which include coaching sessions, email consultation, and access to training events that Kate periodically offers in London. They may also include some business help if needed too. Kate currently has customers living in the UK, Germany and Nigeria. She loves her new job and her life in London, partly because of the multiculturalism of the city.